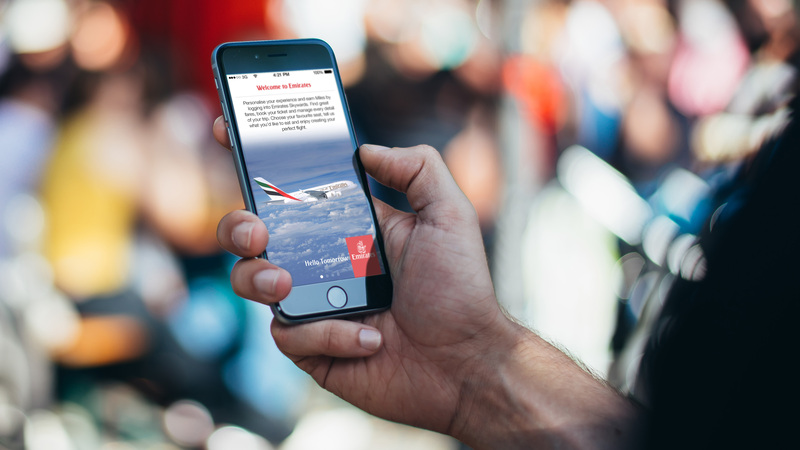 Building on the successful launch of The Emirates App for iPad earlier this year, Emirates airline has now increased its mobile presence with the launch of The Emirates App for iPhone on the App Store. Already the most popular travel app in 25 countries with a 4.5 star rating, The Emirates App for iPhone has enhanced features such as the ability to check-in and download their boarding pass directly to Passbook. The App also features push notifications for check-in, flight boarding, gate changes, and baggage belt numbers, greatly improving the travel experience by proactively alerting customers to critical travel information. “There is no doubt that our customers increasingly want to use their mobile devices and tablets to book and manage their travel. The Emirates App has been designed to address their needs, and make it easier and more convenient to interact with Emirates via their mobile devices,” said Boutros Boutros, Divisional Senior Vice President Corporate Communications, Marketing and Brand at Emirates. Book flights and view their personal travel itinerary on the go. Manage every aspect of their booking, from seat selection to dietary requirements. This feature is particularly useful for our frequent flyers who can see all of their future trips in one place – and for personal assistants who plan their manager’s travel. Register for Emirates Skywards membership through the app. Start collecting Skywards Miles as they fly, view their balance and history and use their Miles to pay for flights and upgrades.